This Tuesday University Ramon Llull has organised one of their “Professors` day” sessions at the Institute of Chemistry IQS. The session titled “Innovation in Research and Academia” gathered several experts in biomedical research to share their knowledge with the professors of IQS. 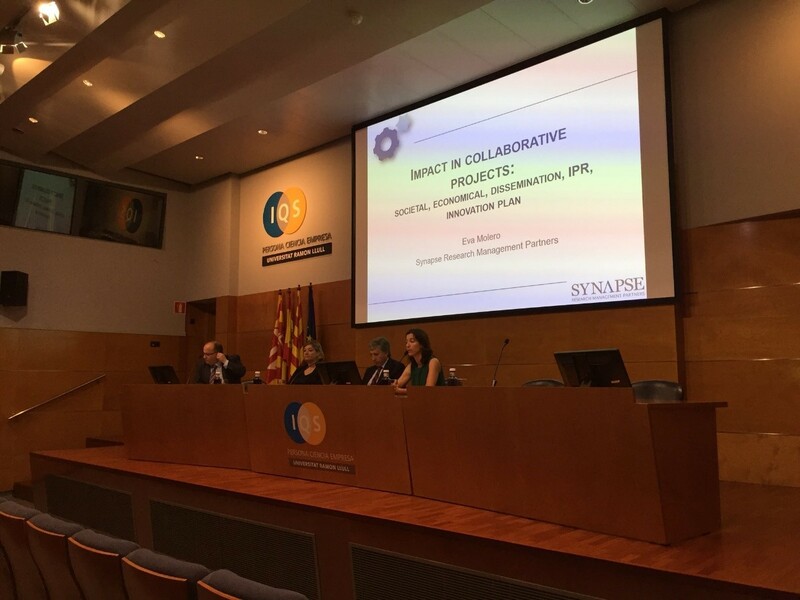 Eva Molero, SYNAPSE CEO, has been invited to talk about the impact in collaborative research projects. Eva talked about international consortium structure and its complexity. 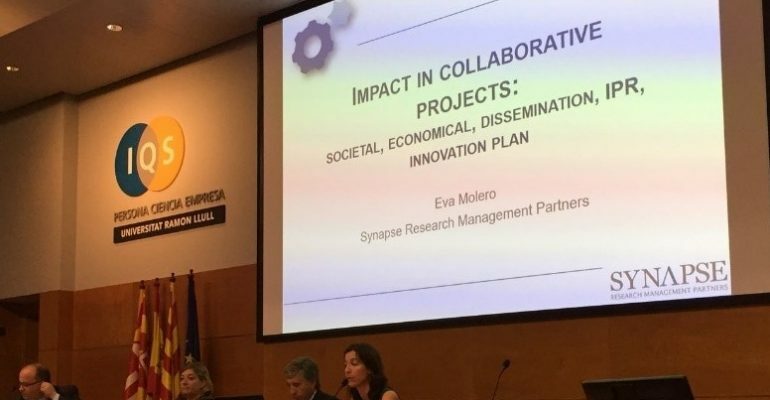 She explained why the participation of different stakeholders is often needed to optimally address research challenges and why public-private partnerships are becoming more common. The talk was followed by a short debate among the participants that further tackled the main aspects of complex collaborative projects such are social and economic impact, intellectual property rights, exploitation and sustainability. Positive feedback has been received from the attendees, and we are always glad to spread our experience in biomedical-sector project management.